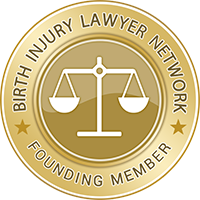 We are actively seeking new Members for our Birth Injury Lawyer Network (BILN). Our preference is that most states with less than 10 million population will be subscribed as exclusive territories unto themselves. Larger states such as California and Texas may be split into sub-regions if desired by our members. Members may elect to cover more than one state if they are qualified to do so. The current price of a 12-month membership is $100 per million population in your exclusive territory. For example, the subscription price of an exclusive membership in the state of Kansas is $290 based on the most recent Kansas population of 2.9 million residents. Future subscription pricing is subject to change and will be dependent on the traffic and leads that are generated in your exclusive territory. Current members will always receive first right of refusal on their exclusive territory. Interested in Becoming an Exclusive Member? Please contact Don Aspromonte at 214‑734‑0278. Birth Injury Lawyers Network is a network of US law offices and attorneys specializing in birth injury claims resulting from medical malpractice or negligence during pregnancy or delivery. The content of this website is provided for informational purposes only, and should not be construed as legal advice. Always consult with an attorney regarding any legal issues. If you believe that you may have a claim, contact us today to discuss your concerns.